It’s the most wonderful time of the year… yes, Hanukkah and Christmas are nice, but I’m actually talking about the SHOT Show 2016 teasers that are starting to drop, like this one from our friends at Ballistic Radio and Daniel Defense. 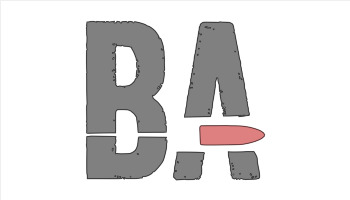 John Johnston of Ballistic Radio is known for excruciating torture tests of guns, from the 20,145 rounds he put through a KAC SR-15 without cleaning it, to the 25,104 rounds he shoved down the gullet of the SAI Mk 25 prototype, a gun some people think might have inspired the Sig Legion series. In other words, if Ballistic Radio and Daniel Defense are going to work together on a project, you can expect a gun that is going to run and run and run… but what, exactly, is it going to be? As neither John nor Daniel Defense will tell me, I’m reduced to looking at Daniel Defense’s product line and looking at likely additions. There are already 30 different 5.56 NATO AR-15 variants for Daniel Defense in the M4, Mk12, and Mk18 families, so I’m simply not seeing a niche there. That leads me to look in the opposite direction, towards those areas where they have few options and higher demand. The first and obvious guess is some sort of expansion off the DD5V1, which is Daniel Defense’s first .308 Winchester, AR-10 based rifle. While that could mean something as simple as a barrel length change, I’m going to go out on a limb and suggest that perhaps they have some interest in tapping into the precision rifle game as that sport continues to take off, and that they might introduce a DD5 variant in 6.5 Creedmoor, a relatively new target cartridge that seems to be on its way towards being the Next Big Thing. Daniel Defense also has an AR-15 based 6.8 SPC II rifle in their Ambush hunting line, but I don’t see much market demand for the caliber. That would seem to leave their line of just four 300 BLK-chambered firearms as the next logical place for a fit. What’s missing? Here’s what I see in the 300 BLKs from Daniel Defense. I see an SBR’d M4 carbine for those willing to do the paperwork for a stubby carbine, and a M4 pistol for those that aren’t willing to pay for the tax stamp. I see the integrated suppressed version of the carbine with the sort of price tag you’d associate with a integrally-suppressed firearm. I also see a hunting-focused variant. But Ballistic Radio hasn’t shown much of an interest in hunting guns. Their forte is defensive firearms. If you play that line of reasoning out, and compare it against the now-obvious hole in the Daniel Defense lineup, I’m going to guess that what we’re going to see is defensive-focused M4 in 300 BLK designed to be a fighting gun. The other possible jump is into a pistol-caliber M4 in either carbine or pistol trim to compete against the CZ Scorpion EVO or the Sig MPX… but I just don’t see it. I think we’re going to see a 300 BLK carbine designed to be run hard in carbine classes and for self-defense. I guess we’ll see on January 19.